There has been much ink (actual and digital) spilled in recent years about just how white fantasy is. Almost every orphan boy (and it’s usually an orphan boy) who rises to become the hero of the realm has been white, and the realm he becomes a hero of is usually some version of Western Europe, but with dragons – and magic, elves, and whatever other fantasy trope/s the author chooses to employ. If non-white people do appear, they are cast as the villains: barbarian hordes. perhaps, or evil warlords intent on enslaving the otherwise peaceful lands the protagonist calls home. Occasionally, an inscrutable “Oriental” wise man or wizard will put in a brief appearance, or perhaps the protagonist will befriend some wandering tribal people whose customs and traditions are suspiciously like an amalgamation of every single Native American stereotype the author had ever heard of. What this does is distort the view of the fantasy genre as a whole. For the very longest time, it seemed like only white boys and white men had a right to the grand adventures so often depicted in fantasy, while white women and people of colour have been forced to mutilate their sense of themselves in order to fit into the shell of a white boy or a white man – that, or not participate in the creation and consumption of fantasy at all. 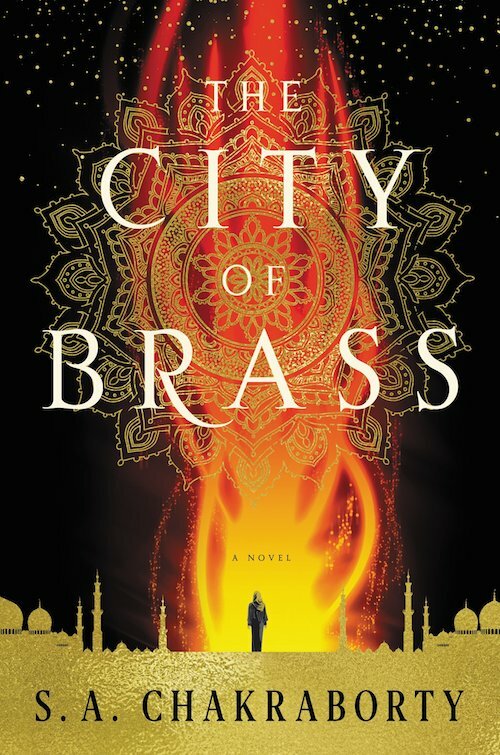 It felt like all of fantasy fiction was blurring together, a series of white male heroes and magical Western European worlds all smudging into a boring, beige landscape: the genre equivalent of bland oatmeal. Trigger warnings for this novel can be found at the very end of this review. Grief is a complicated and utterly crippling emotion. It is like a natural disaster on the scale of a tsunami or super-typhoon: all-consuming and devastating in the instance it happens, and leaving the soul’s landscape completely altered in its wake. Time does not heal grief, not really; a person merely learns to cope with its ebbs and flows, learns to live with the way its tides rise and fall. Most of the time, it is easy to keep afloat, to ride the waves and move from day-to-day with a semblance of normalcy. Other times, however, something or someone will cause a riptide to come from out of nowhere, pulling a person down into the dark depths he or she thought he or she had left behind, forcing them to begin the struggle anew. Most of the time, a person succeeds in resurfacing from their grief; but sometimes, some people give up, and succumb to the depths, never to come back up again. 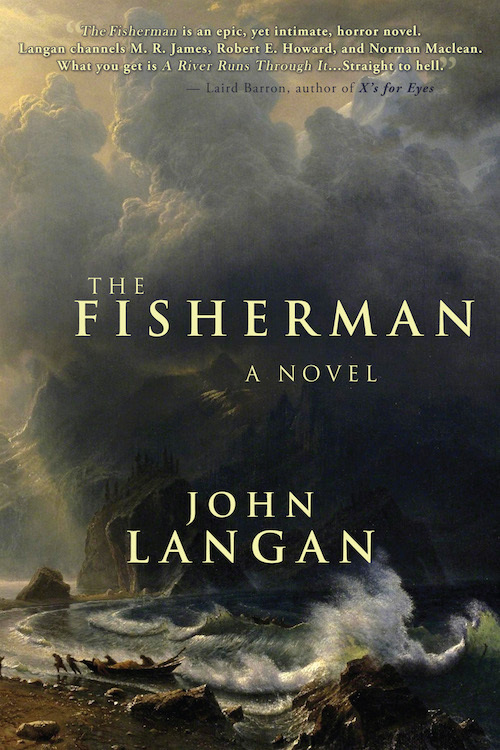 Grief, and what it makes of the people caught up in and then spat out of its wake, is the central theme of John Langan’s The Fisherman. It tells the story of a man who prefers to be called Abe, and how, in the wake of his wife’s death, he finds solace in fishing, and later on friendship, in the form of a fellow widower named Dan. One day, they decide to follow up on some old tales about a place called Dutchman’s Creek, where, so the tales have it, something miraculous lurks in the waters. Curious (and maybe more than a little hungry for miracles), Abe and Dan make their way to Dutchman’s Creek – but soon learn that perhaps the miracle they seek is no miracle at all, but something else, something darker. For Dutchman’s Creek has been hiding a secret: a secret linked to a dark tale that haunts the Ashokan Reservoir about a mysterious entity called Der Fischer. Trigger warnings for this novel can be found at the very bottom of this review. Cannibalism is simultaneously fascinating and disturbing. Despite this seemingly instinctual revulsion, however, there are certain circumstances under which that revulsion can be overcome – such as when people have to resort to cannibalism in order to survive. There are many reports throughout history of people eating their fellows during famines or war, as well as when they are stranded somewhere isolated and cannot find food to keep them going. That was the case in 1972, when Uruguayan Flight 571 crashed in a remote part of the Andes. Ten days into the crash, the survivors made a pact: those who died would allow the living to eat their flesh to help keep them going in the hopes of eventual rescue. In the end, sixteen people were eventually rescued, and the incident is remembered in Latin America as El Milagro de los Andes, “The Miracle of the Andes”, despite the cannibalism that occurred. In direct contrast to the above is the story of the Donner Party: the name given to the wagon train consisting of pioneers who left Independence, Missouri in 1846 intent on making it to the Oregon Territory in hopes of building new lives for themselves. But a series of mishaps, bad decisions, and disagreements led to the party first splitting into two groups, and then both groups getting stranded in the Sierra Nevadas during the winter with minimal supplies. When the survivors were rescued from the mountains and brought into California in the first months of 1847, tales of cannibalism came along with them, since many of the survivors had had to resort to it in order to ensure their survival. 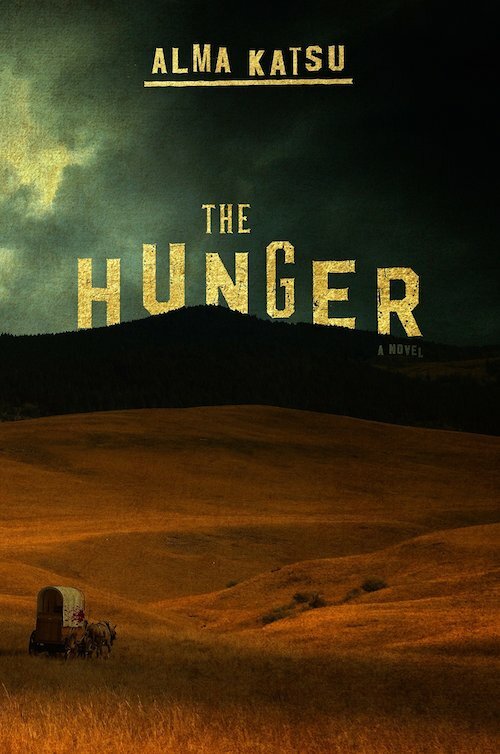 Unlike the survivors of El Milagro de los Andes, however, the survivors of the Donner Party’s expedition were not viewed with awe and wonder; instead, many were viewed with suspicion, if not outright hostility, because they ate human flesh. This review is based on an ARC given to me for free by the publisher via Netgalley. This does not in any way affect my review. This book is slated for release on November 20, 2018. This is a review of the seventh book in a series. It contains no spoilers for the book being reviewed, but may contain spoilers for the books that precede it. Please do not read this review before reading the other books in the series. 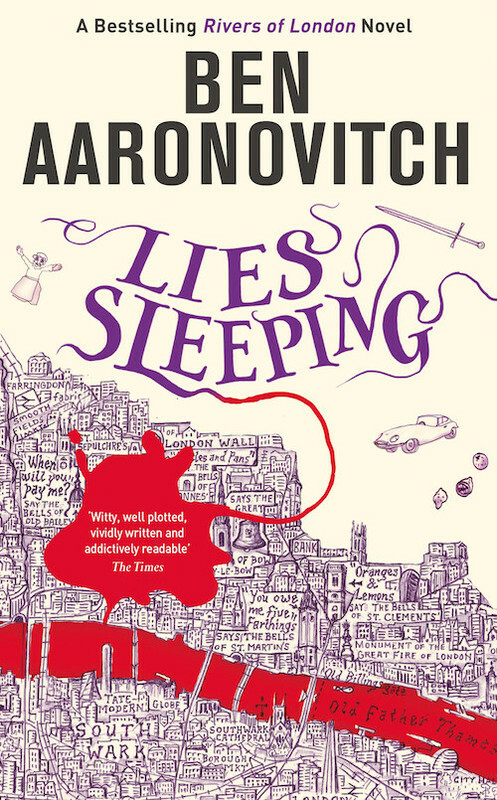 When reading a long, ongoing series, it can be difficult to keep track of plot events and story elements as they are laid down along the way – especially when reading a series that is more than four books long. In many cases, I have to go back and reread the previous books in a series before engaging with the latest one, just to refresh my memory on what has happened before. This is especially important when the author has a tendency to leave certain story elements – characters, seeming offhanded remarks, even little tidbits of lore – scattered in various books, only for those elements to lead up to something even bigger later in the series. Personally, I find that sort of thing a lot of fun. Though it can be difficult keeping up sometimes, it’s still immensely pleasurable to pick out elements in previous books and figure out how they fit in the grander scheme of the series’ story arc. I don’t always guess right, of course, but when I do, I have the pleasure of experiencing the kind of “aha!” moment that comes with figuring out the solution to a puzzle. This review is based on an ARC given to me for free by the publisher via Edelweiss+. This does not in any way affect my review. This book is slated for release on November 13, 2018. “Check your privilege” has become quite the popular online catchphrase, often thrown down when someone is perceived to be making a statement that shows the privilege of their position in the world, and how that privilege is making them unable to understand another person’s point of view. It can also be used as a reminder, a note to oneself to remember that what one thinks is normal or right might not always apply to someone else. When used correctly, it is a great deflator of ego, a reminder to the self and to others to see something through someone else’s eyes. Whether it is economic gaps, racism, misogyny, homophobia, or even smaller issues like personal relationships, checking one’s privilege is a useful tool that forces people to open up to other ways of seeing and understanding the world. 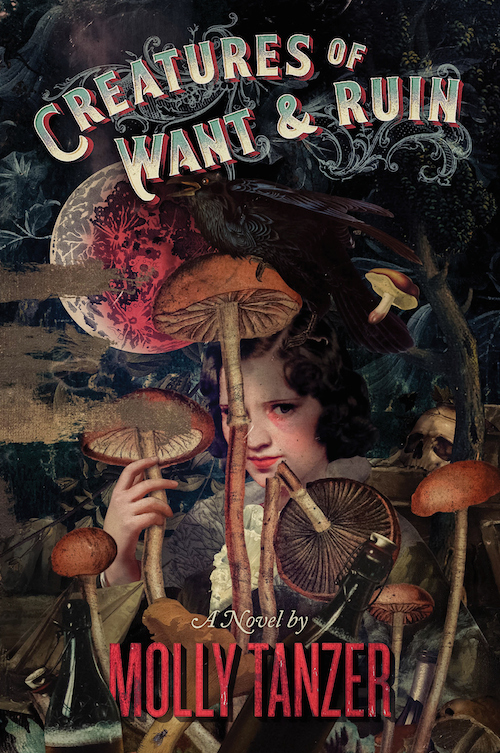 Checking one’s privilege is a key theme of Creatures of Want and Ruin by Molly Tanzer. Set in Long Island in the 1920s, it follows the story of Ellie West, who is doing all she can to scrounge together enough money to send her brother, Lester, to college so he can become a doctor. In oder to do that, she augments the money she makes fishing the bay with money she makes by bootlegging liquor – a profitable, if not entirely safe, source of income, walking as she does between the Mob and the feds. So when a group of wealthy holidaymakers offer Ellie a large sum of money to procure booze for a party, Ellie does just that – even if some of the liquor she sold them has a rather sketchy provenance. But she doesn’t want to think about that. What matters is that she now has enough money to send her brother off to college, and never mind what rich folk do when they want to get drunk.